International Journal of Research in Health Sciences,2014,2,4,1085-1090. 1-Associate Professor of Gynecology and Obstetrics, Govt. Medical College, Ananthapuramu, Andhra Pradesh, INDIA. 2-Associate Professor of Pediatrics, Govt. Medical College, Ananthapuramu, Andhra Pradesh, INDIA. 3-Assistant Professor of Pharmacology, Govt. Medical College, Anantapuramu, Andhra Pradesh, INDIA. Background: One in every five women in the world suffering from cervical cancer belongs to India, which has the largest burden of cervical cancer patients in the world. Objective: This study is intended to know the awareness of cervical cancer and to determine the knowledge, attitude and practice (KAP) of Pap smear screening among the nursing staff in Government General Hospital, Anantapur, Andhra Pradesh, India. Design: Cross sectional study. Setting: Tertiary care teaching hospital. Methods: A preformed questionnaire based survey was conducted after taking informal consent of 130 staff nurses working in our institution. 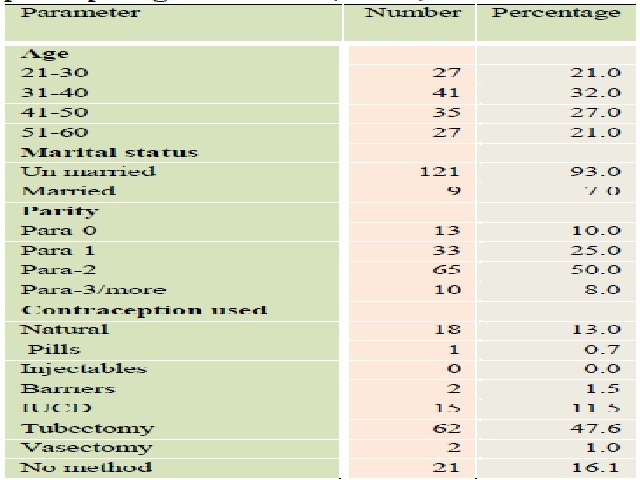 The questionnaire was mostly about knowledge of cervical cancer, its risk factors, its screening techniques and the attitude of the staff nurses towards cervical cancer screening and its practices. Statistical analysis: Chi-square test. Results: In this study, almost 86.9% of the respondents knew that Pap smear is used for detecting cervical cancer but only 70% knew that it can even detect pre cancerous lesions of cervix. Only 33.8% knew that cancer cervix can present without any symptom. About 76.9% of the respondents knew that HPV infection in a risk factor for cancer cervix, but only 58.4% knew about HPV vaccine. About 83.8% of respondents agreed that all married women should be screened for cancer cervix at least once in a life time. 70% of the respondents thought that Pap smear testing is a doctor’s procedure and only 24.6% of the respondents have themselves undergone Pap smear testing. Conclusions: For successful implementation of cervical cancer screening programme, the nurses should be targeted first by education and sensitization, so that they can play pivotal role in developing the awareness, confidence and compliance of women. In this study, though knowledge of pap smear as a screening procedure for cancer cervix is high, its practice is still low.